Zapier to Podio - Create Item Issue- No fields for client data? I am trying to use Zapier to send leads from Facebook Ads over to Podio but when I go to map the fields in Zapier over to Podio using "Create Item" there are no fields for the client data such as name, email, tel etc. It says "Contact Fields are currently in Development". How do I get the lead data over to Podio? Below is the screenshot of the zapier screen. I have a ticket raised within podio ticket system (zendesk) and ID is: 210236 but they told me I have to make a post here as they dont offer api support which is a bit werid seeing that the zapier plugin is made by podio. Anyway, if someone can help I would be super grateful. I have solved this myself in the end without help from Podio support team. I went back into podio and created some new fields for the name, tel , email and additional information for the "Application" called "Leads". This now drops the facebook leads into Podio under "Leads". 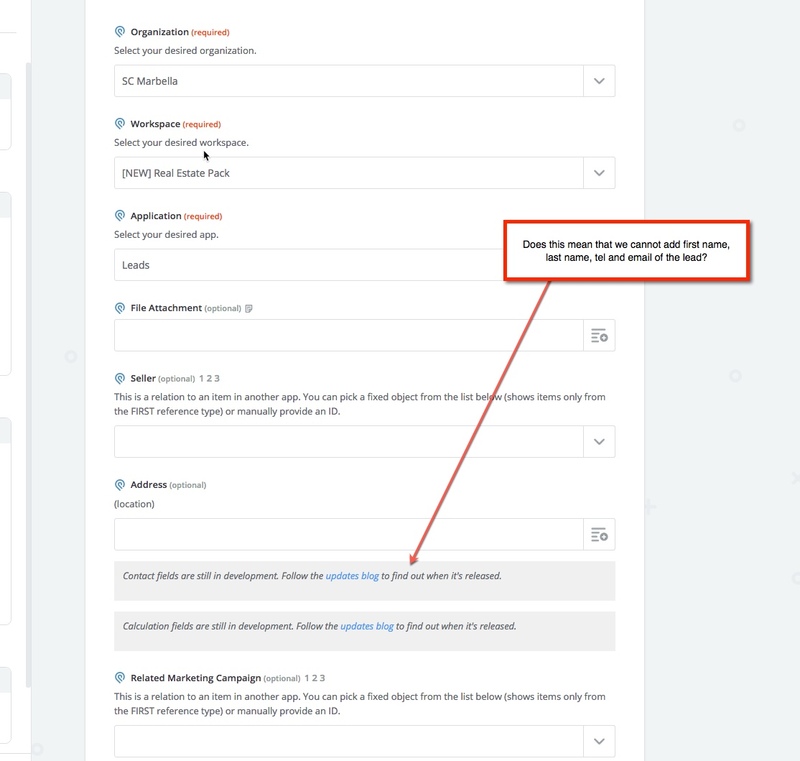 One caveat though is that it DOES NOT create a contact so the podio user has to create a new contact in the podio CRM and assign the lead to it when they view the lead the first time. Not the answer you're looking for? Browse other questions tagged zapier podio or ask your own question. How can I trigger an action after updating a Podio Category on zapier?